Top loader, tube CD player. The sound is analog-like; viscose, fluid, flowing, smooth. Plays CD only, not SACD. 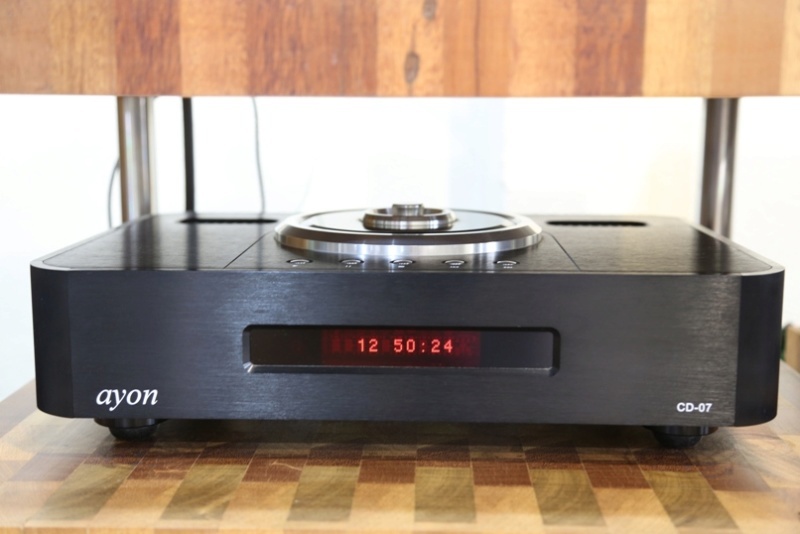 DAC used is Burr-Brown PCM1796 with class A output stage built around Philips JAN 5687WB triodes. 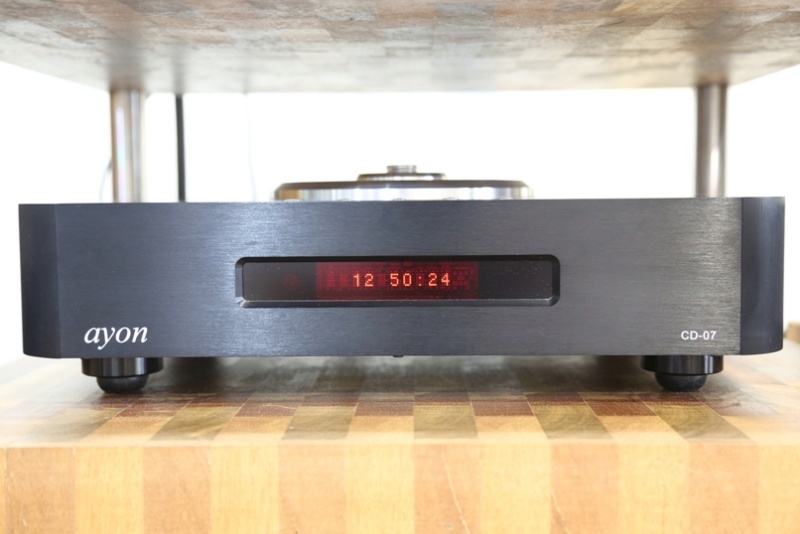 Burr-Brown SRC4193 upstream system is used to upsample 44.1 to 192 kHz. 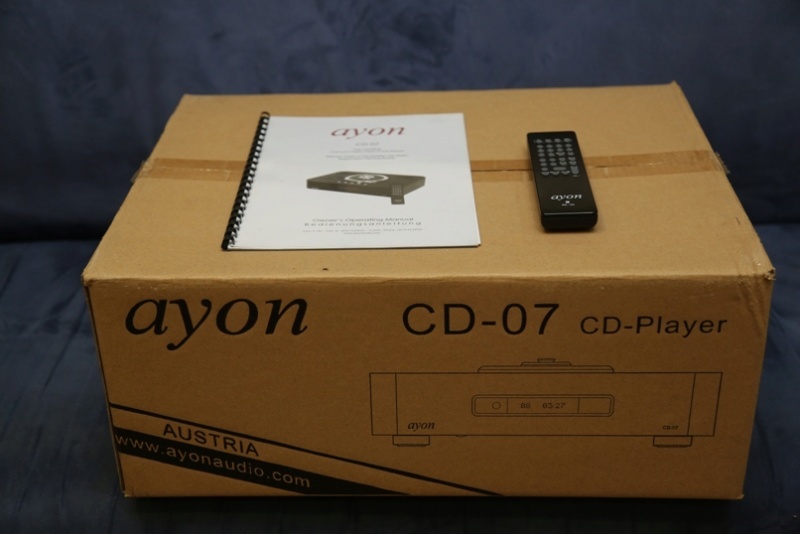 Comes with the original box, power cable, manual, and remote control. 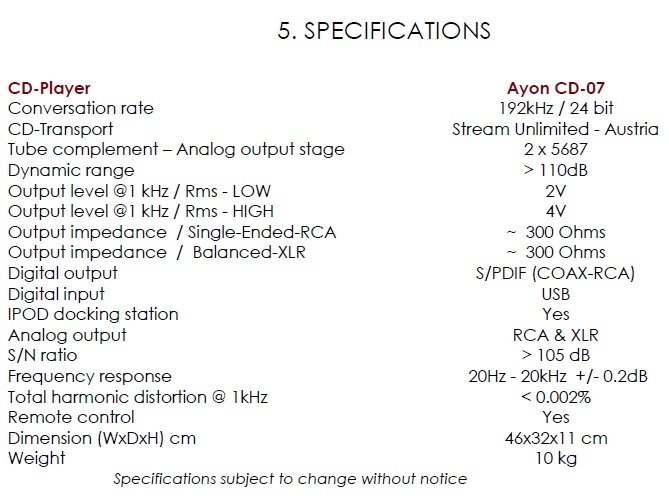 Today, Ayon's entry level CD/SACD player is the CD-10 which costs more than RM16k. No more cheaper models. 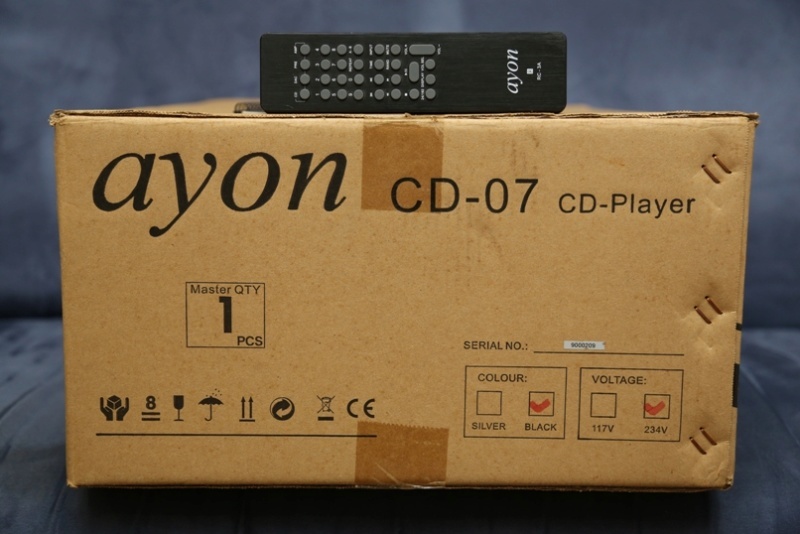 Buying a used Ayon CD-07 is good way to experience Ayon's tube CD player without breaking the bank.